Based on a single boat designed and built by Herresoff, for Mr. Willoughby Stuart in 1932. 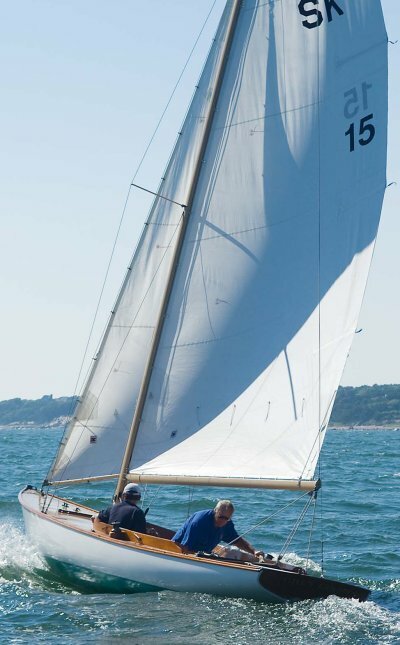 (Herreshoff design #53). Series production didn't began until 1985?. Thanks to 'Hal' for providing corrected information. Molded by Edey & Duff. Finished by Ballentines's Boat Shop.